Another Moroccan senior official refused to comment on Algeria’s protests. Rabat – Morocco’s Minister of Foreign Affairs Nasser Bourita has reiterated that the government will maintain its “non-interference” in massive demonstrations in Algeria. Bourita said that Morocco will “neither meddle with the internal developments that Algeria witnesses nor comment on them,” according to AFP. 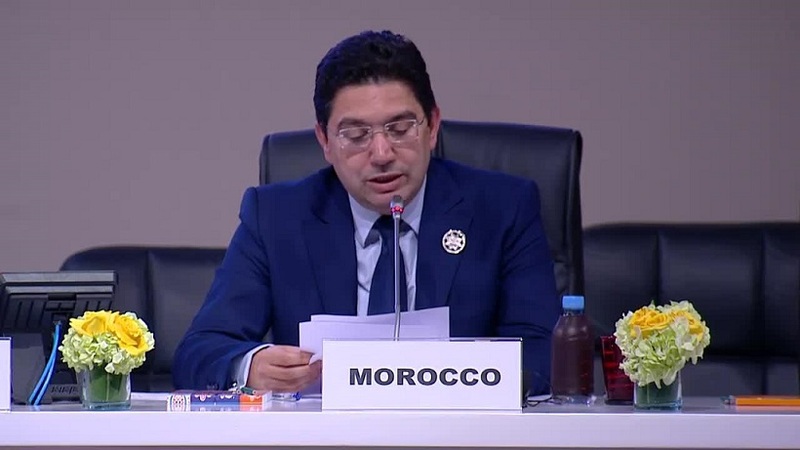 Morocco’s policy counts on strengthening win-win diplomatic cooperation through respect for states’ sovereignty, territorial integrity, and the principle of non-interference in domestic affairs. Protests continue in Algeria, despite Bouteflika’s decision to withdraw his bid for a fifth term. In the last week, protestors have railed against Bouteflika’s decision to postpone the 2019 election. The Moroccan-Algerian diplomatic ties have long been tense because of opposing stances on the Western Sahara conflict and Morocco’s territorial integrity. The border between the two countries has also been closed since 1994. Algeria made the decision after Morocco imposed visa regulations on Algerian citizens following a terror attack on the Atlas Asni Hotel in Marrakech. Tensions flamed when Algeria started supporting the separatist group of the Polisario Front. It remains to be seen whether the current “hirak,” or popular movement, in Algeria will change its stance on the conflict. Morocco, at the initiative of King Mohammed VI, invited Algeria to engage in a frank and direct dialogue to end the stalemate that hampers the Maghreb unity project. Algeria has not given any direct response to King Mohammed VI’s initiative. Algeria’s newly appointed prime minister, Noureddine Bedoui, announced the beginning of talks to form a new government after Prime Minister Ahmed Ouyahia resigned last week. Algerian protesters, however, appear to reject the formation of the new government because they are calling for a “big clean up” of the Algerian regime. Opposition parties also called on Algeria’s ruling authority to step down.